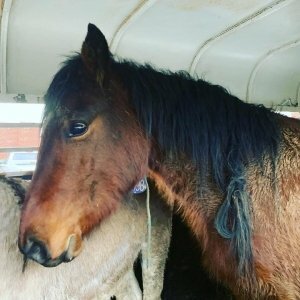 FROM WILD MUSTANG TO A CLEAN AND TANGLE FREE WILD MUSTANG…HOW IS THIS DONE?? SIMPLE WITH H24 SYSTEM AND THE MANELY DETANGLER….NO BATHS YET! ALL DRY GROOMING…thanks to Amanda Lane with her Mustang Makeover experience and Manely Long Hair! It’s time to make the Switch now…what are you waiting for:) Enjoy grooming with Manely Long Hair. Shocking for sure!!! SHOCK IT!